I blogged here about this fun summer project and it has not disappointed. 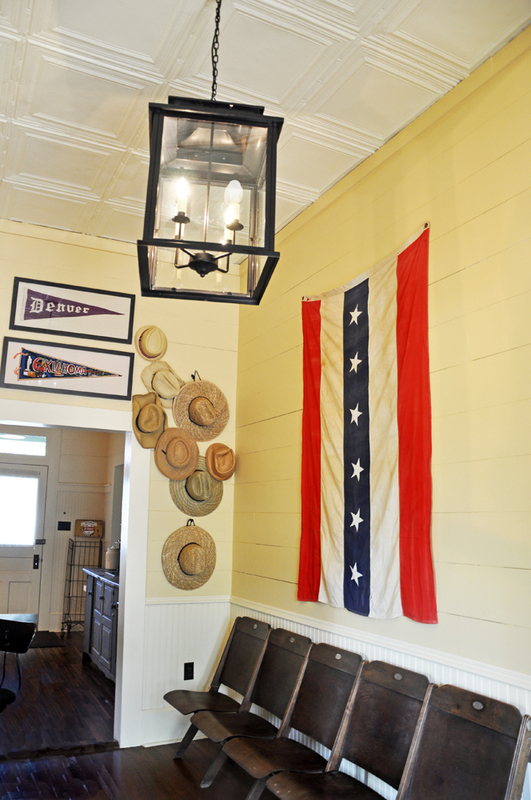 The Old Glory bunkhouse is in Burton, Texas, next to the Old Glory Antiques store that is in an old dance hall in the small Texas town. 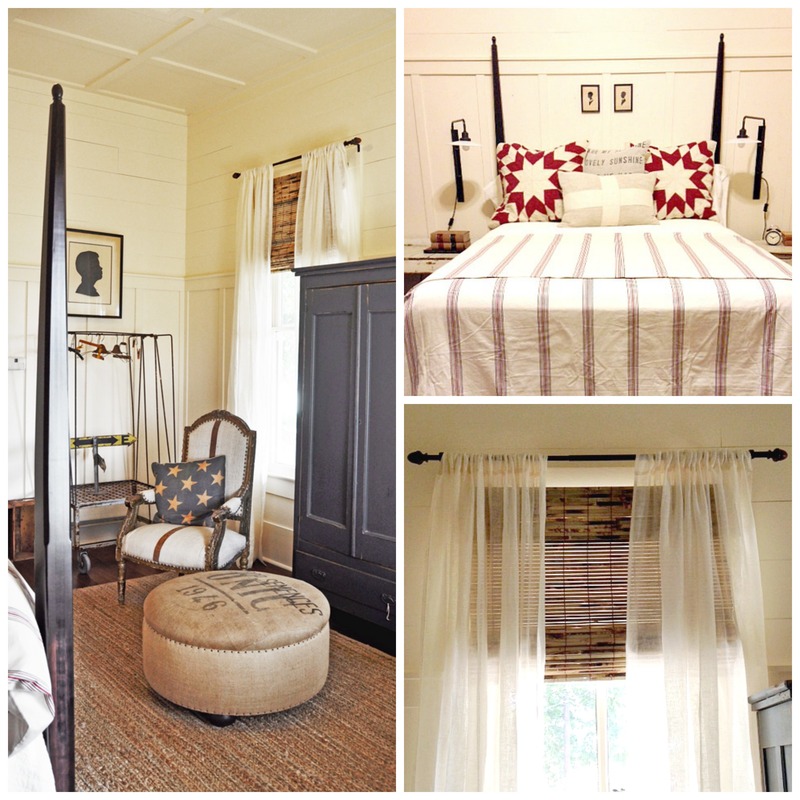 Becki Griffin of Curious Details assisted me on this project and we had a ball pulling antiques from the store and playing to our heart’s content arranging and rearranging furniture and scheming the best look for the house. The front entry we framed collectible pennants that represent places of meaning for the Kuhns and we went crazy with hats. A vacation home is a great place to do something whimsical like hanging hats..something you might not do in your primary home. The vintage flag totally sets the tone. 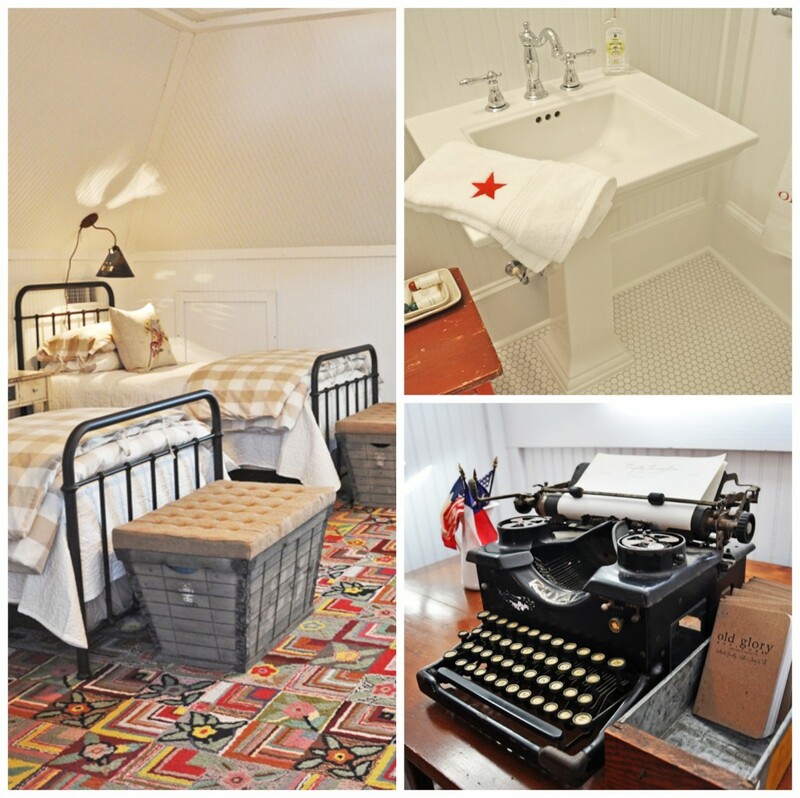 I knew I wanted to the space to carry over with the wonderful brand that Holly Kuhn has developed with Old Glory Antiques in Denver and now Round Top. It’s American primitives and antiques at its best with a bit of whimsy and her furniture line mixed in to add softness and practicality. But I didn’t want to go to hokey red white and blue so I had to practice restraint. I ADORE this old sandwich sign..it is the real deal! This patchwork rug is from IKEA! 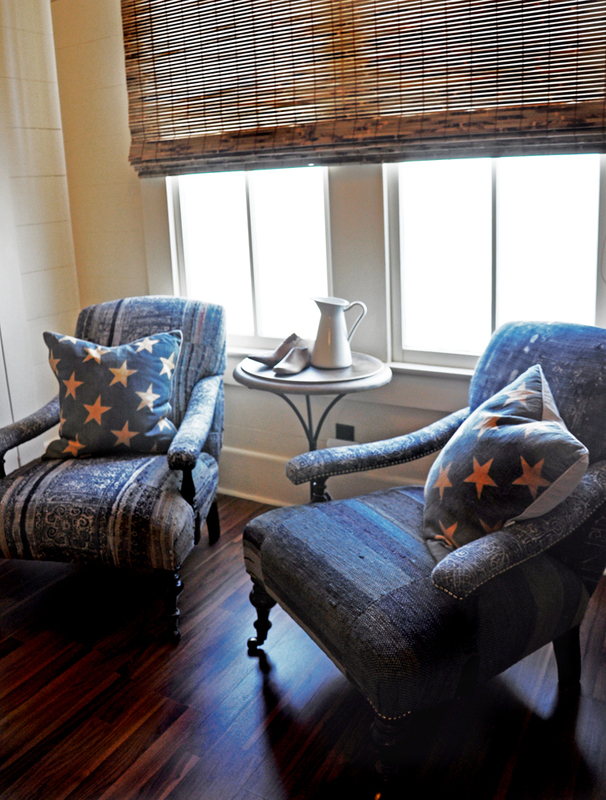 These wonderful INDIGO chairs are part of Holly Kuhn’s Old Glory Americana upholstery collection..some feature feedsacks and linen or burlap but this is indigo is truly special. So rich in color and texture. The window behind we simply added my favorite blind from selectblinds.com in bamboo tortoise. I love their shades because they come in custom sizes and ship fast, they can inside or outside mount and can be lined for privacy! Originally it had a lot going on with the windows: blinds, shutters, old glass windows and curtains…we simplified with this clean cell blind from select blinds, the soft white is perfect with our creamy paint and it has no cords you just push up! In the front room across the hall I used a new bed constructed by Amish craftsmen in Ohio…its new and queen size and comfy and sturdy but blends with Holly Kuhn’s antiques and upholstery line so well. In this room I used bamboo again from Selectblinds.com with sheer linen panels from Pottery Barn…there is no window look I love better than linen plain panels and bamboo! It really worked in this room to provide a backdrop and base layer for all of the other goodies. 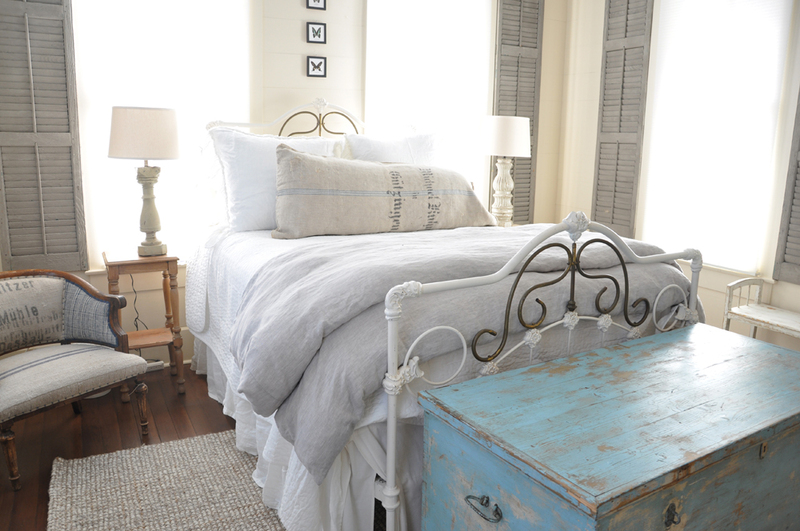 The stripe duvet is from PB and the silhouettes are from Southern Gilt antiques in Houston. Don’t you love that old luggage cart and ottoman? I can’t wait to get better shots of this room. These are just from my cell except the one on the left by Heidi Jaster. I didn’t have the insert in the duvet yet and these photos just don’t do it justice..more coming soon I promise! 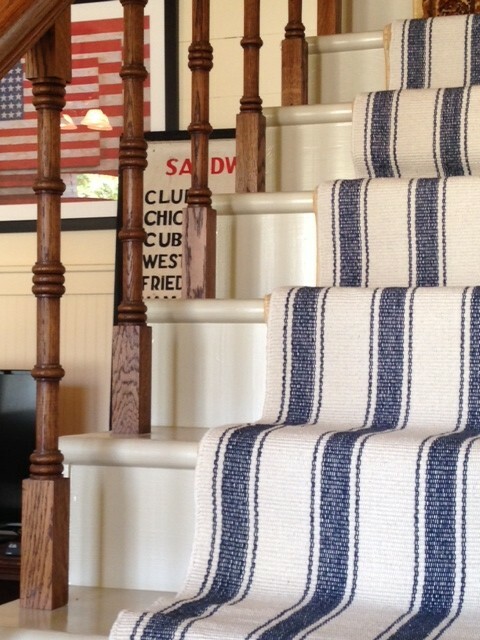 Including this Dash and Albert runner on the stairs! It is just laying in the photo below but we got it installed and it looks so good! This is a peek of what is going on upstairs! Three little iron beds with buffalo check and funky old lights. And the gypsy rug from Dash and Albert! Come back soon to see more . 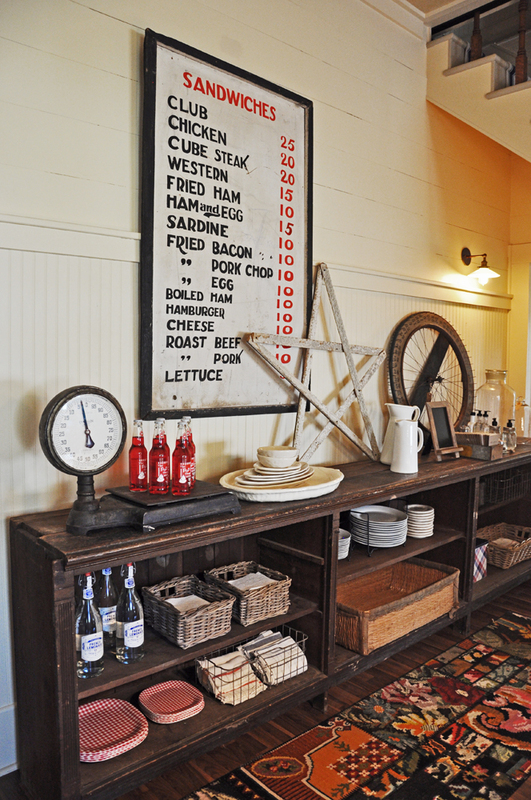 . . and thank you to Old Glory Antiques for allowing me to be a part of this project. And thank you to Becki Griffin for collaborating, you are the best! If you are interested in Select Blinds, they are offering a special code for my readers good through the end of the month! The code is Holly35 and will get you 35% off! In full disclosure, please be aware that Select Blinds is a sponsor of this blog. Also a lot of people have asked about the iron beds and they are from Restoration Hardware kids! Looks amazing Holly! You’ve done such a good job of blending her style with gorgeous finishes and fun finds! I love it all! Can you share with us the source on the iron beds? You and Becki have done a stellar job and I MUST come see it in person! It is perfection!!! Wow! What a treasure trove. I always find myself reading and re-reading your posts the way I revisit my favorite pages in design magazines. There is so much layered beauty and attention to detail in all of your work and it really shines here. I can’t wait to see more! Wow! Such beautiful spaces and great inspiration. I feel a road trip coming on!! Absolutely gorgeous! Can you tell me which color and style bamboo blinds you used? They are perfect! Will you share sources on the natural rug, iron beds, buffalo checks, and bamboo blinds? Love it all! Thanks so much for the tip on the source for the blinds. I’ve been wanting to add these to our living room windows. 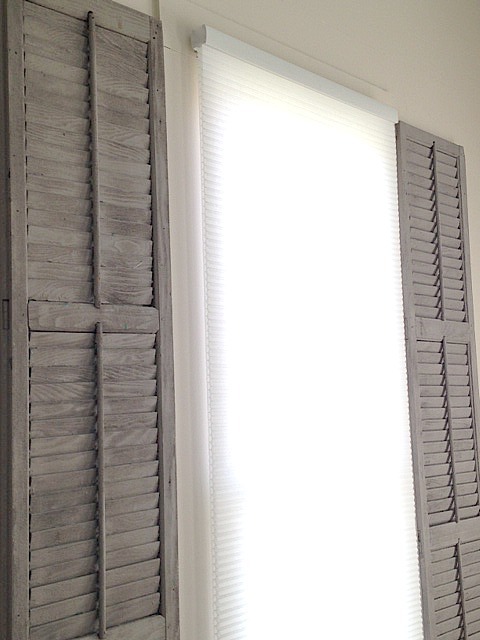 Do you happen to know the specific color these blinds are? I really like them and I’m looking at the website and can’t tell which looks closest to the ones you used. You had me at old sandwich sign Holly! It is simply gorgeous! I love the colors and styles! Adorable!